The showdown took about six months to materialize, but last summer’s three flashiest juveniles on the Southern California circuit are finally squaring off in Saturday’s $1 million Santa Anita Derby (G1). Bob Baffert’s dynamic duo of champion Game Winner and highly regarded Roadster are getting a rematch, now joined at last by the Jerry Hollendorfer-trained Instagrand. Adding further piquancy to the clash, Roadster and Instagrand are in need of points to make the Kentucky Derby (G1) field. Roadster has yet to compete in a scoring race, while Instagrand enters with only 10 points. The Santa Anita Derby is make-or-break for both, offering 100 points to the winner, 40 to second, 20 to third, and 10 to fourth. Rewind the clock back to August, and remember how sensational Instagrand looked when trouncing the Best Pal (G2) at Del Mar by 10 lengths. That followed a similar 10-length thrashing in his debut at Los Alamitos. The unbeaten colt would have loomed large in the ensuing majors for juveniles, only to have owner Larry Best take him out of training to rest up for this season, and leave a tantalizing “what might have been” last fall. In his absence, Game Winner emerged as the divisional champion. After upstaging 3-5 favorite Roadster in the Del Mar Futurity (G1), Game Winner went on to romp in the American Pharoah (G1), and completed a perfect four-for-four campaign in the Breeders’ Cup Juvenile (G1). 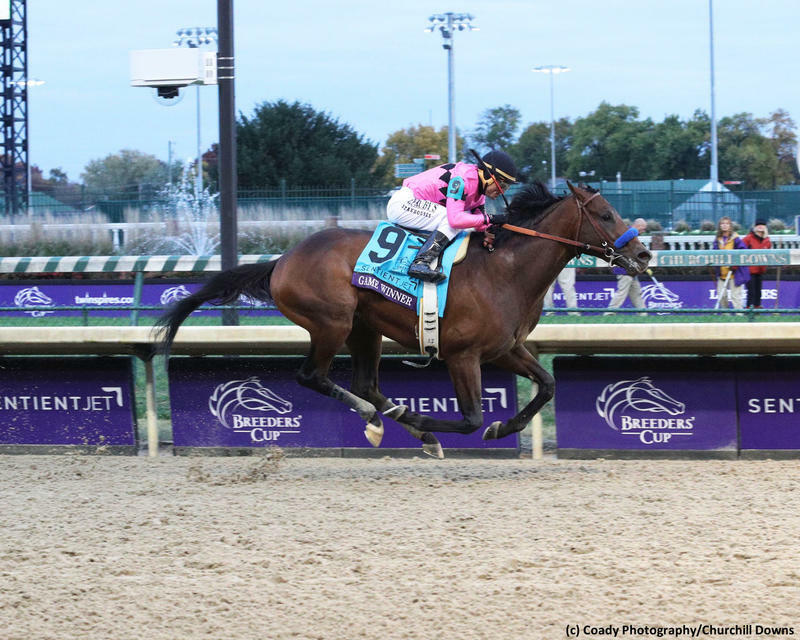 Baffert planned for Game Winner to kick off his Derby trail in the San Felipe (G2) at Santa Anita, but after its cancellation, he was rerouted to Oaklawn Park for the second division of the Rebel (G2). Although gaining late, the son of Candy Ride couldn’t quite get to Omaha Beach and suffered his first loss by a nose. Game Winner has long looked like the type to appreciate added ground, so the step up to 1 1/8 miles in the Santa Anita Derby should suit. He’d probably benefit from a little more pace on tap, though, in this small field. Regular rider Joel Rosario will guide the Gary and Mary West runner from the outside post 6. Roadster was Baffert’s first ballyhooed two-year-old of 2018. When TMZ accosted the Hall of Famer last summer to ask who was his next Justify, Baffert nominated Roadster. The Speedway Stable colorbearer poured fuel on the speculative fire with a stylish debut score at Del Mar in July. The bloom came off when Roadster was a lackluster third to Game Winner in the Del Mar Futurity, but he had an excuse – a breathing issue that’s been addressed by a corrective procedure. Reappearing in a March 1 allowance at Santa Anita, Roadster rolled by 2 1/2 lengths over a strong maiden winner in Nolo Contesto. That two-turn mile figures to set Roadster up perfectly. The tactical colt has drawn the rail with Hall of Famer Mike Smith, who also rode Justify to victory here on the way to Triple Crown glory last year. Thus Baffert, already the all-time top Santa Anita Derby trainer with eight wins, holds a strong one-punch as he seeks number nine. Nolo Contesto stacks up on form, having beaten future Rebel hero Omaha Beach in his maiden win, and he’s likely better than his loss to Roadster implies. The John Sadler trainee wasn’t suited by how the allowance race unfolded, not being too happy on the inside and hitting his best stride far too late. While Nolo Contesto doesn’t figure to get any more pace help this time, new rider Joe Talamo could fit him well. Instagrand did not return to action until the March 9 Gotham (G3) at Aqueduct, where he lost his perfect record in third. But there were encouraging signs in defeat. The Into Mischief colt showed a new tactical dimension to race just off a ferocious pace. Between the hot tempo, and the challenge of shipping across the country in his first start off a nearly seven-month vacation, Instagrand turned in a solid effort. Now he stretches out to two turns for the first time with a more favorable scenario. Back at home, in a race lacking much in the way of pace, the Hollendorfer pupil gets a rider switch to Flavien Prat. Hollendorfer’s second stringer, More Ice, is more of a turf/synthetic performer sporting third-place efforts in the Eddie Logan on the Santa Anita lawn and the El Camino Real Derby at Golden Gate Fields. Rounding out the six-horse field is Synthesis, who’s changed hands and switched to the George Papaprodromou barn since his fourth in the San Vicente (G2).